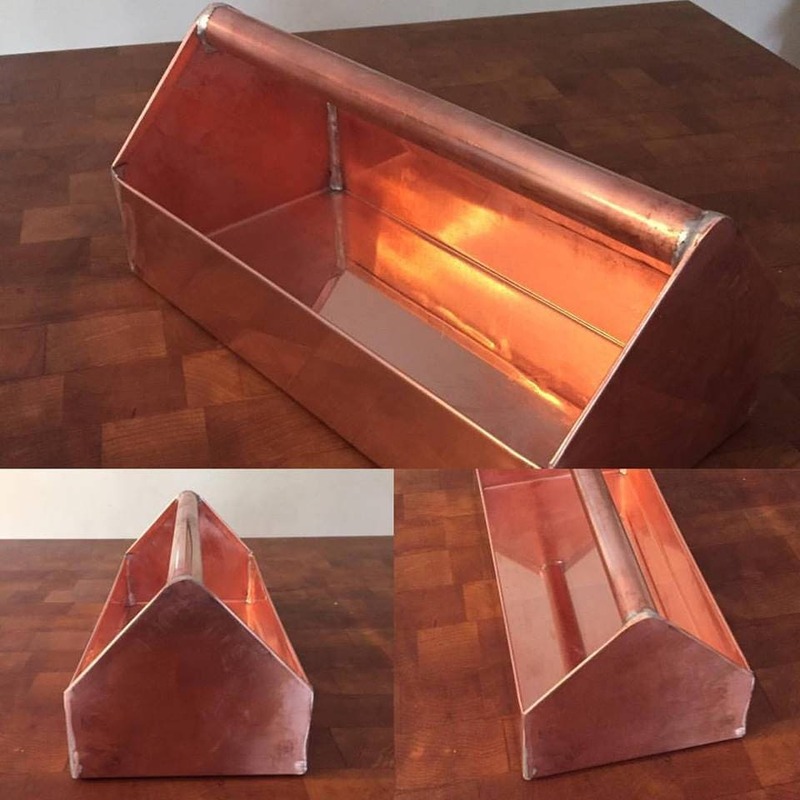 This toolbox-style home décor accent piece is handmade using genuine 16oz copper. Great for anything from storage and organization to candles or floral arrangements! A blend of beauty and function. Add a touch of luxurious shine to any style of décor. Makes a great centerpiece that can be styled for any occasion. Measures 6" x 12" x 5". Use for storage or décor. Free shipping!!! We accept PayPal, credit card, debit card, or Etsy Gift Card. Due to the weight and size of some of our items, shipping will be assessed by customer location. Some items might require local pickup only or "white glove" service. We will accept returns for a full refund (original purchase price and original shipping fees) only if requested within 7 days of delivery confirmation. The buyer is responsible for return shipping. Refund will be issued upon receipt of undamaged product. No refunds on custom items unless it is due to a mistake on our part. All our products are made with the same high quality standard. However, due to the nature of the materials there will be some variation from piece to piece. Reclaimed Wood: The beauty of reclaimed wood is the uniqueness that comes from all the imperfections created by time, nature and the wood's previous life. Often, there are notches, nail holes or worn spots. Copper: Copper is a soft metal which bends and dents easily and also tarnishes with time and exposure to elements. The color and shine of new copper can be maintained with a copper polish (easily found any hardware store and many grocery stores) or you can choose to let it naturally patina for an equally beautiful look. Please note Reclaimed State is not liable for any injuries or damages related to any of our products our services. The buyer assumes all liability upon purchase.